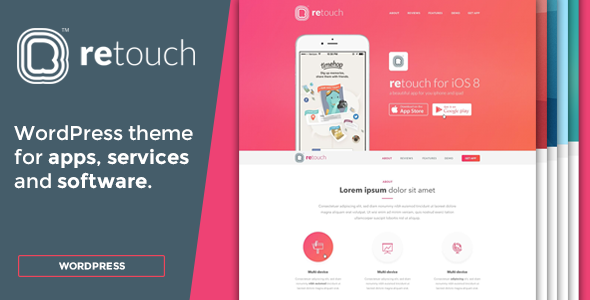 ReTouch is an incredible App Landing Page WordPress Theme. 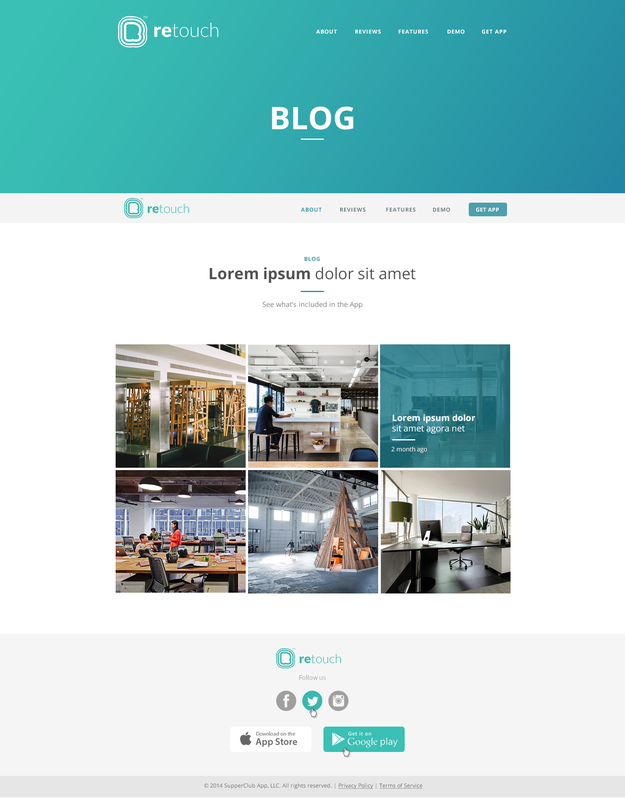 This WordPress Template will suit app, software, service, agency, landing page and creative websites. It is entirely composed of customizable blocks. 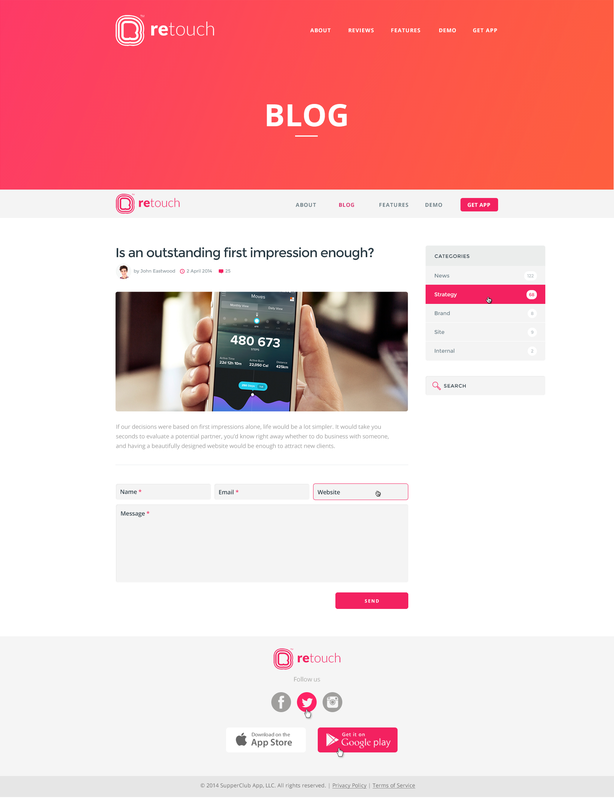 This App WordPress Theme comes with responsive design, working contact forms and Twitter feed. 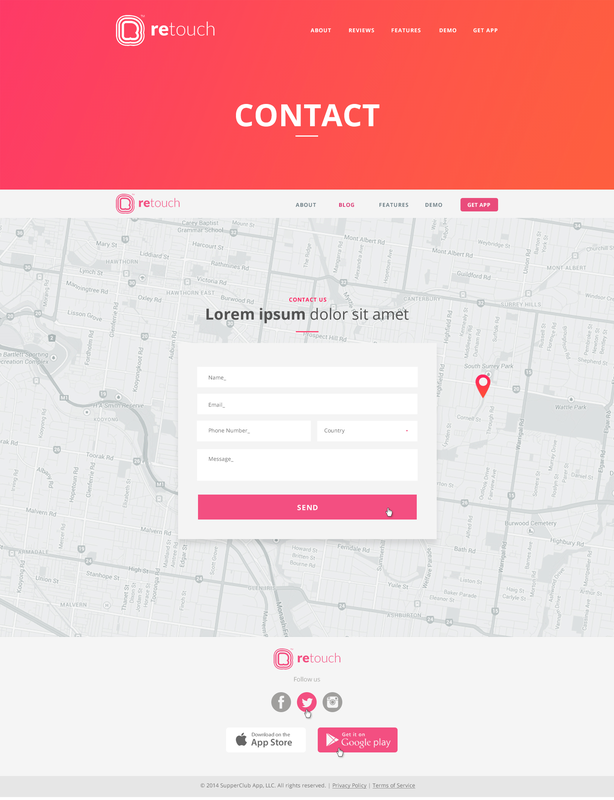 The homepage of ReTouch contains: Menu and main image, Floating menu, About us, Our team, Features 1, Features 2, Showcase blocks, Portfolio, Portfolio, Video, Blog, Subscribe, Twitter, Contact us, Plans and Download blocks. Comes in 6 stunning color variations. Includes frames of Android device as well as iPhone5 and iPhone6. Note: Images were used from Unsplash and other free resources.